Business customers can learn why power outages occur and how SCE will work with them to minimize the impact. 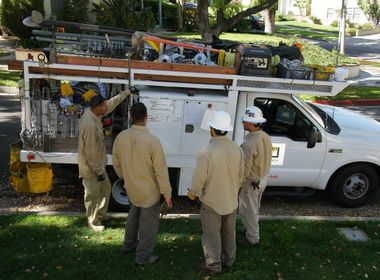 Don Houlihan, like many business customers, wondered why Southern California Edison has power outages. The Orange County Water District recharging operations supervisor realized during a recent SCE outage school in Fullerton that it was a lot like his job. He said he learned at the outage school that providing electricity and maintaining the power grid involves so much more, ranging from how SCE can reroute power to other circuits to installation of new isolating sensors that help pinpoint and limit outages. 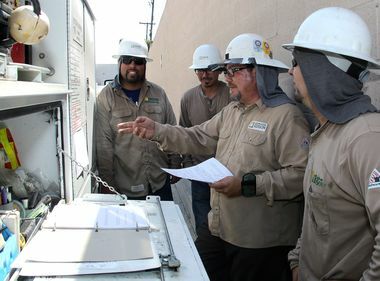 The outage schools, hosted for business customers at presentations throughout SCE’s territory and through webinars, are designed to explain why outages occur and how the company works with business customers when they are scheduled. “We know any outage our customers experience has an impact,” said Tomaso Giannelli, a project manager on SCE’s Outage Communications team. 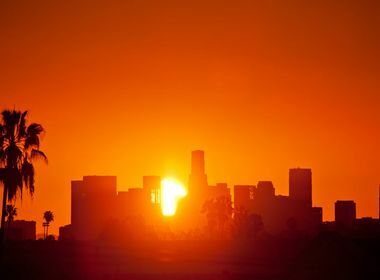 He said understanding SCE’s outage process is even more important for businesses this year because of the limited availability of natural gas from SoCalGas Co.’s Aliso Canyon natural gas storage facility, prompting the possibility of rotating outages. Gas from the facility is used to generate electricity in the region, so any shortfall could affect the power supply. Giannelli said, however, that customers are more likely to have a maintenance or repair outage. Repair outages by their nature are unpredictable emergencies. When they occur, SCE works to provide as much information as possible. For instance, if the cause was a car hitting a power pole, metallic balloons in a line or an unforeseen equipment problem. Giannelli noted SCE has more than doubled maintenance outages over the last few years in a concerted preventive maintenance effort to improve the reliability of the grid by replacing equipment before it fails. “We are ensuring the system is your long-term energy provider,” Giannelli said. Houlihan said the one thing he learned about that will be most helpful in his job is the SCE outage map. The map, which can be accessed online and by mobile phone app, provides information on the cause of an outage and the estimated time for restoration of power.